"The Bartolini pickups in each of my MTD basses deliver world-class tone, aggressive lows, sweet sustain with a strong bright crisp sound. " Antoine Tut Stewart has completed his first Album-EP, String Talk. With over 20 years of experience as a bassist, his project showcases a broader musical gift blending Gospel, Funk, Jazz and R&B into a soulful variety of songs. Although a self-proclaimed church musician, Tut shows the world with this album-EP that he is much more, as String Talk reaches out to music lovers of all ages and genres. Tut is best known for his creative style, unique sound and cool personality among his peers. Coming from a musical upbringing, the Louisiana native started out singing in the church choir. 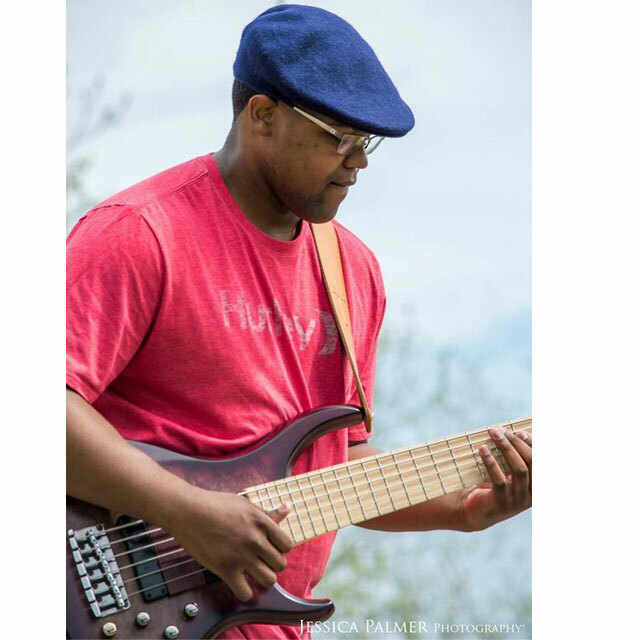 With trial and error, he took up many instruments, until he learned the bass guitar at age 17. When Tut finally found what he was meant to do. He continued to hone his skills while playing with his church as well as many local churches in the community, gospel and r&b artists His successful experiences eventually opened the door for him to become a regular call for concerts and recording sessions (Studio and Live) across all genres. He would later go on to join the United States Army Band as an Electric Bass Player. His character, professionalism, exceptional musical ear and creativity naturally helped him evolved into a successful career in music.